'Penwith' means 'far beyond'. And it is. 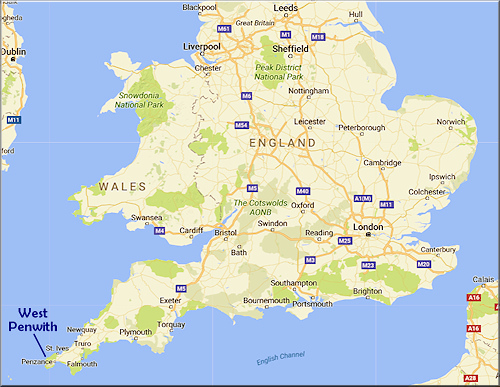 West Penwith is four hours from Bristol and six from London. It's a small, concise promontory area about 12 x 15 km in size, surrounded by sea cliffs and beaches on three sides and by land to the east. Down here, we call that land 'upcountry'. 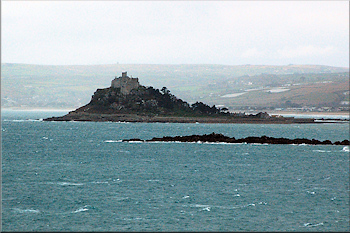 You can catch a train from many cities in Britain to Penzance - PZ is surprisingly well-connected (but you might need a good book to read on the way). Or drive down the M5 and A30 (or, from London, the M3, A303 and A30). Once you're past Exeter and cross the River Tamar into Cornwall, it gets better and better. Phew, relief. Or catch a shuttle plane from London Gatwick or other airports to Newquay (NQY), then hire a car. Penwith has three towns - Penzance, St Just and St Ives, a number of villages and many dispersed farms, houses and hideaways. 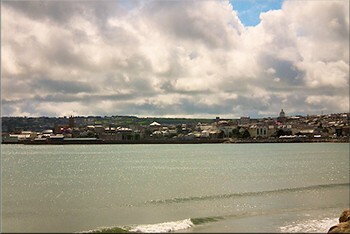 It is well known as a holiday area, very busy in July-August, pleasant and cheaper in May-June and September-October, and you need a good attitude toward wind and rain in winter, from November to March. We have a changeable Atlantic oceanic climate, so bring clothes to match - for sun, wind and rain. Come at the right time and the weather can be wonderful, clear and sunny. Come at the wrong time, and you could get blown away and rained on! It's great! West Penwith has a profusion of ancient sites, denser than anywhere in Britain and dating back two to six millennia ago - the same period as dynastic Egypt, the Minoans of Crete and Sumer-Babylon. 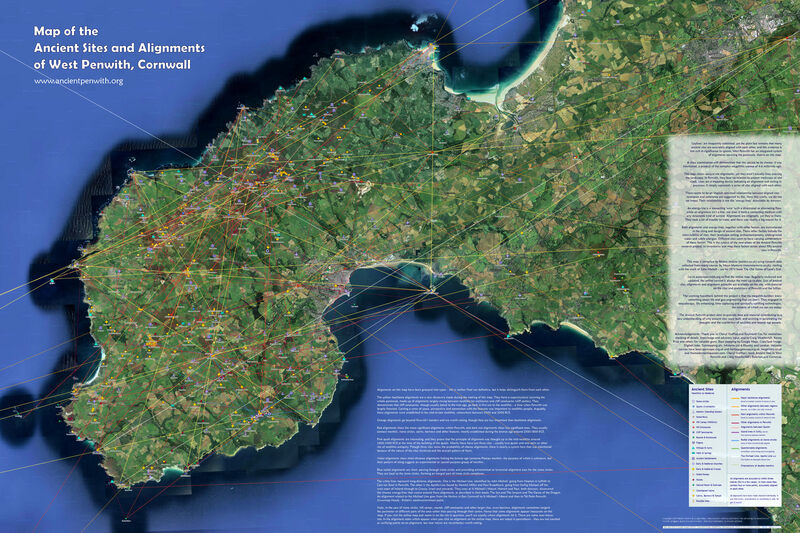 For a map of ancient Penwith, try this. There are four stone circles to visit (though once there were more). The Merry Maidens and Boscawen-ûn (Boscaw-noon) are easy to get to, and Tregeseal and the Nine Maidens need a walk and a map. There are many menhirs (standing stones) and cairns, barrows and tumuli (mounds), and other neolithic and bronze age sites, mostly around 4,000 years old, with some up to 5,700 years old. There are two accessible iron age villages (2,000ish years old) at Chysauster and Carn Euny, and others (mainly piles of stones) dotted around the peninsula, accessible to walkers. Some of the cliff castles (cliff sanctuaries) are well worth a visit, for inspiration and coastal panoramas. 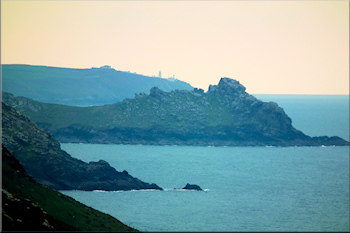 Try Treryn Dinas, Gurnard's Head, Bosigran Castle or Cape Cornwall. Officially they are dated to the iron age 2,000ish years ago but, on this site, it is suggested that they date back to the neolithic, about 5,500 or more years ago. 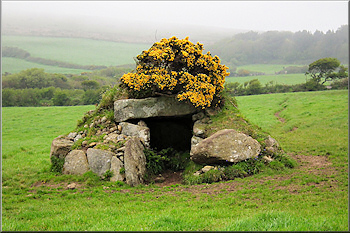 The quoits (dolmens or cromlechs) go back at least 5,500 years - the best to visit are Chûn, Mulfra and Zennor Quoits, and the easiest is Lanyon Quoit, though it is no longer in its original form, having been faultily restored in Victorian times. Neolithic tor enclosures (Carn Galva, Carn Kenidjack, Trencrom Hill and St Michael's Mount) go back to a similar time. 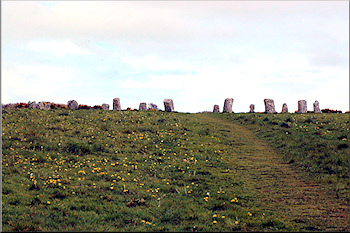 Carn Galva and Carn Kenidjack can be combined with a visit to the Nine Maidens and Tregeseal stone circles, respectively. 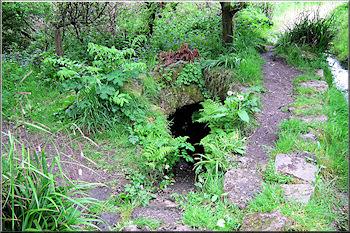 Then there are fogous (underground chambers, 2,000ish years old) and holy wells (try Sancreed, Madron and St Euny's Well), Celtic rounds (enclosures), early Christian crosses (800-1,500 years old), old churches, oratories and special hilltops (such as Sancreed Beacon, Chapel Carn Brea, Bartinney Castle, Zennor Hill and Chûn Castle). So there are plenty of places to visit - and when you get there, stop still for a while and go within yourself, since these are good places for contemplation, inspiration and letting go of all all the concerns you might have had before you came here. 7. Pordenack Point and Carn Lês Boel (start from Land's End, 4m). 9. Of the cliff sanctuaries, try Bosigran Castle (9a, 1m), Gurnard's Head (9b, 1m), Treryn Dinas (Logan Rock, 9c, 1.5m), Cape Cornwall (9d, 0.5m) or Carn Lês Boel (7, 2m from Porthgwarra). This website takes an approach that is wider and deeper than customary archaeology, using a broader spectrum of evidence. Phase one of the project involved mapping all Penwith's known ancient sites and identifying their alignments to each other. These alignments ('leylines') are important, even though they are customarily rubbished and ignored by archaeologists, who find them culturally and intellectually too challenging. A consequence of this bias is that much of the meaning and original purpose of ancient sites is missed in academic circles. The megalith-builders of the neolithic and bronze ages accurately aligned the ancient sites they built, and the maps on this site show these alignments. Why did they do this? It all had something to do with working with the subtle energies of land and sky and a kind of geo-engineering that sought to balance and enhance natural processes in the land, the climate and people's relationship with the wider universe. That's the theory, at least - and, frankly, no one has better theories that really make sense. If you are interested in spirituality and inner growth, you will find that, at many ancient sites, it is easier to enter a deep state than at other places - 'the veils are thin'. This is precisely one of the key reasons why they are there - this was important to people of the neolithic and bronze ages. 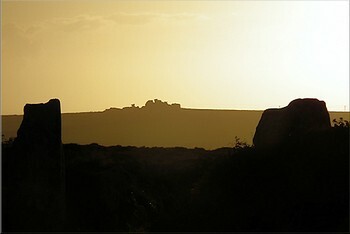 The Ancient Penwith project's future research involves a field survey of various locational and other factors, focusing on about fifty of Penwith's main sites. These factors include archaeo-astronomical orientations, intervisibility of sites, underground water and subtle energy (found through dowsing), plus the aesthetic landscape placing of sites. Results will be reported on this site in future years - there's a lot to do first. 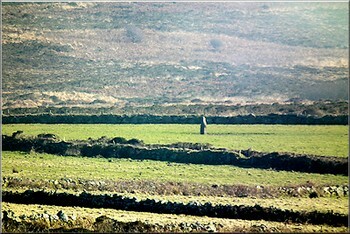 Penwith is a very good laboratory for such work, being a concise and integrated landscape where a good number of geomancers and archaeologists live and also visit. There is now a lot of accumulated research to draw on, collated particularly in the journal Meyn Mamvro and in the archaeological literature and a number of books. This website draws on that research and adds significantly to it. This is a great area for leaving your worries and concerns behind, finding inspiration, getting some exercise, visiting some excellent ancient sites and having some wonderful oceanside experiences. Recommendation: a minimum of four nights' stay gives you three full days - one for ancient sites, one for clifftops and coves and one for freewheeling. Otherwise you're likely to find yourself driving back up the A30 to England and wishing you'd stayed longer! If visiting with a group, it is possible to engage the services of an expert guide: contact us. or, for an overview of the main findings on this site, In a Nutshell.